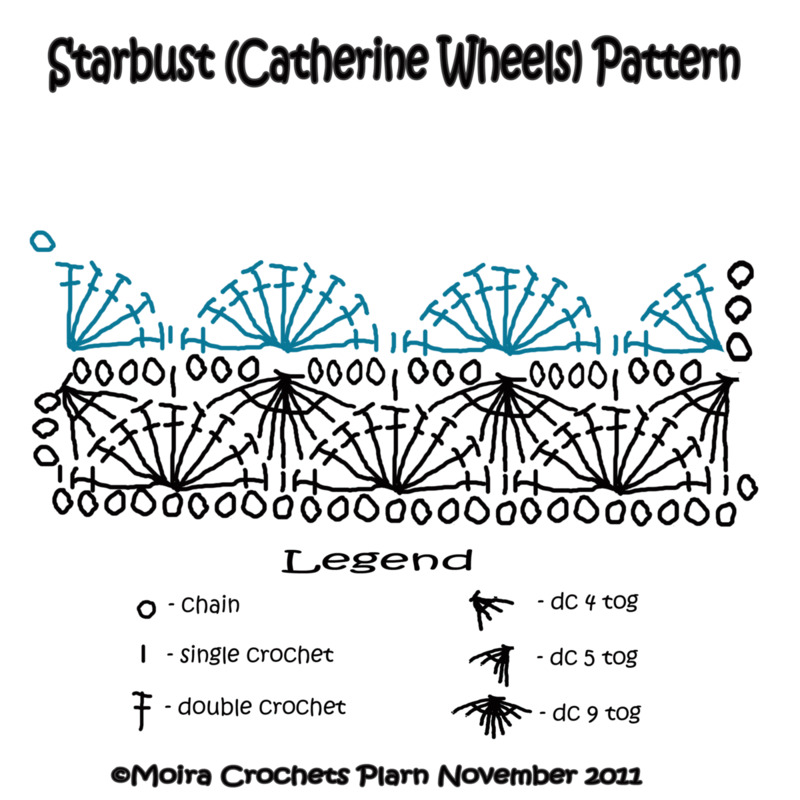 The beautiful starbust (Catherine wheels) stitch pattern for this pouch is from this book. I love this book. 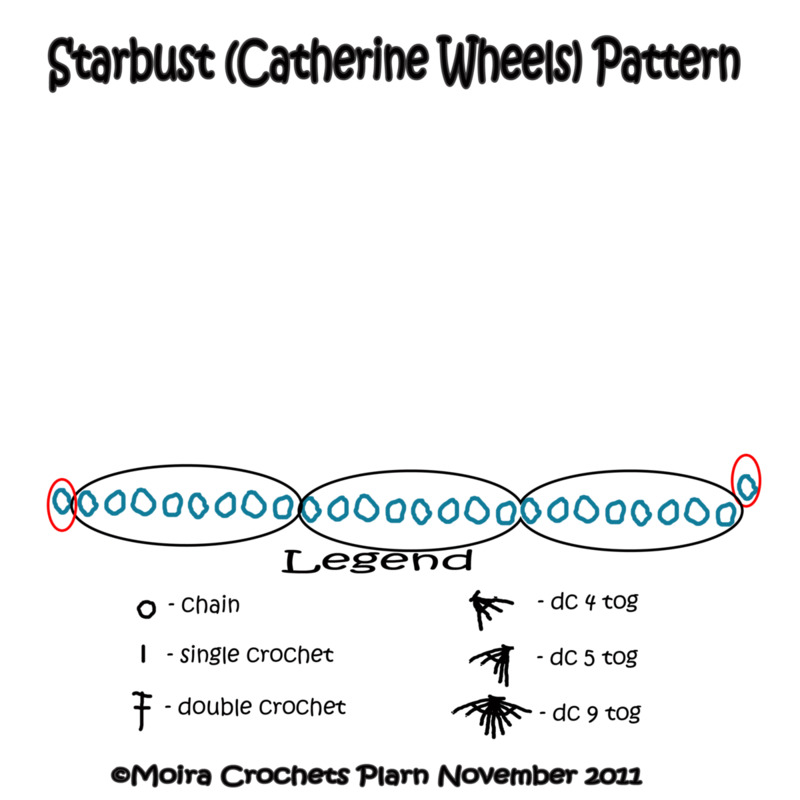 One of the most interesting stitch pattern I've encountered is the starbust stitch, more commonly known as Catherine wheels stitch. The illusion of dc's or tr's radiating from various points, as if multiple circular motifs have been stitched together, like exploding fireworks in the sky, is just irresistible. 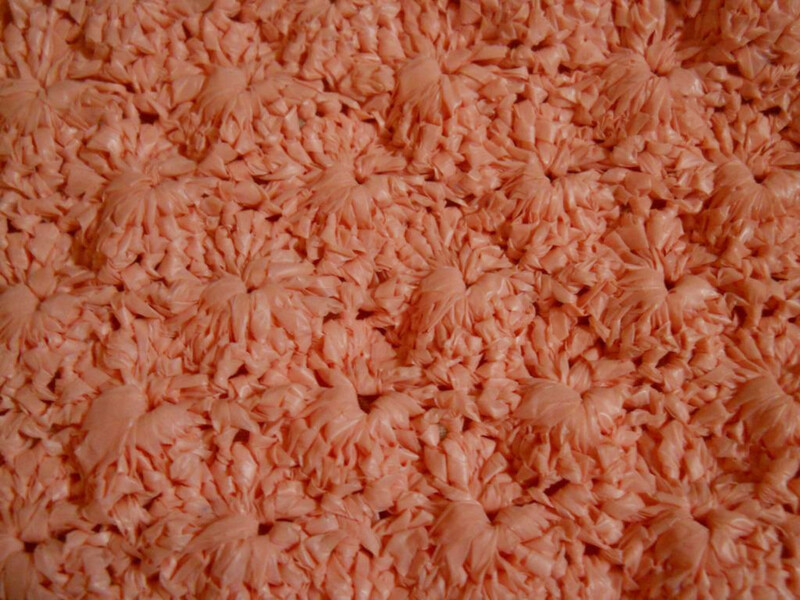 But the reality is,its just alternating rows of shells and dc tog's. 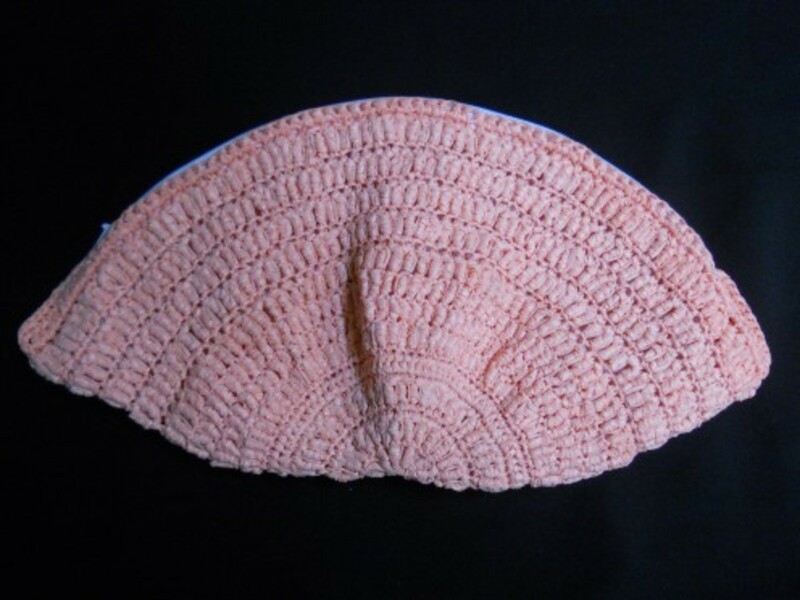 Where the stitches gather creates a hump, making this stitch pattern a beautiful combination of humps and lumps. 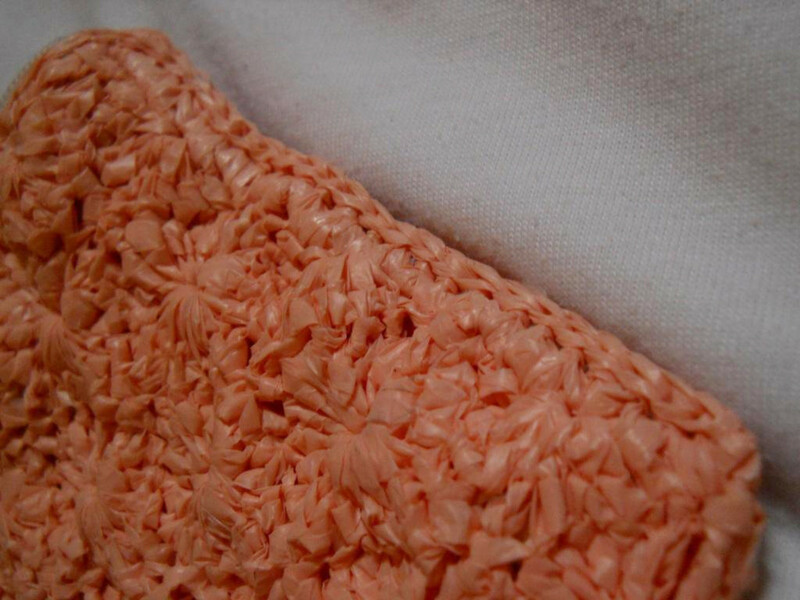 I really love running my fingers through its gorgeous texture. 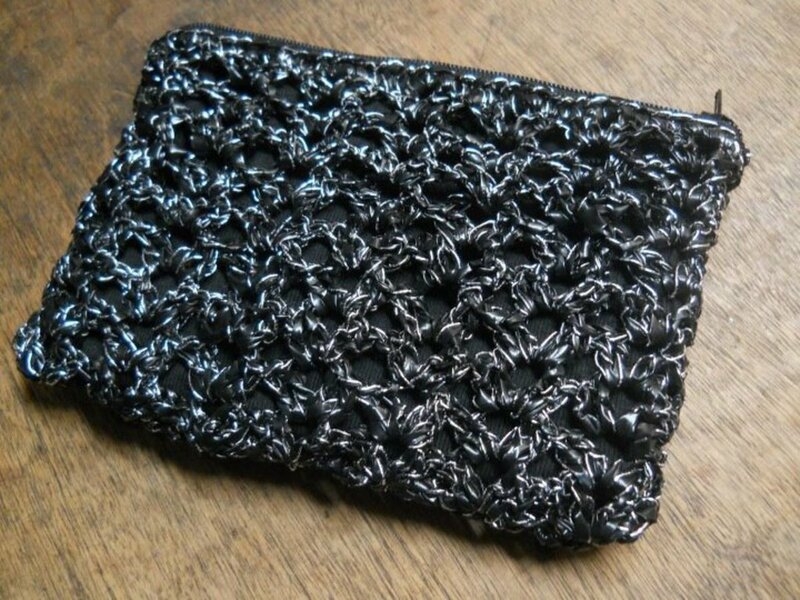 When I decided to join a bazaar, this is the third pouch I made. 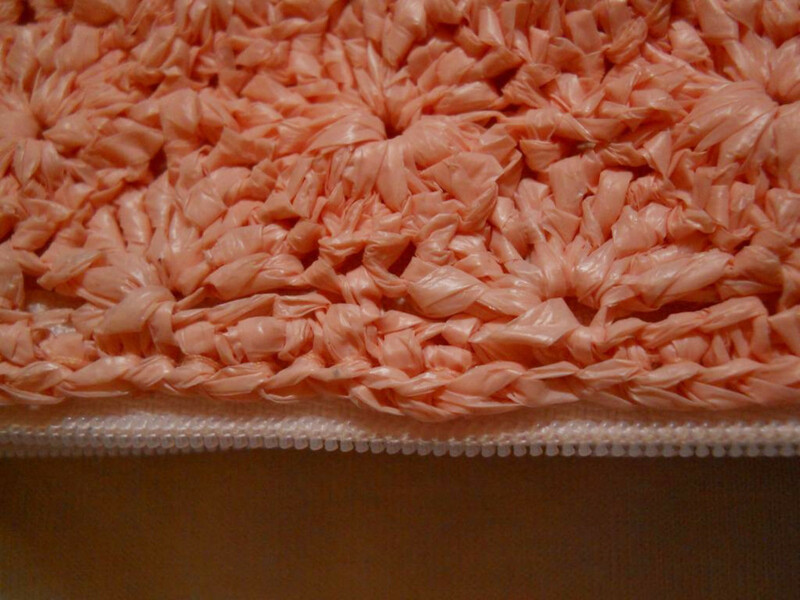 I created it with plarn from two XXXL plastic bags. 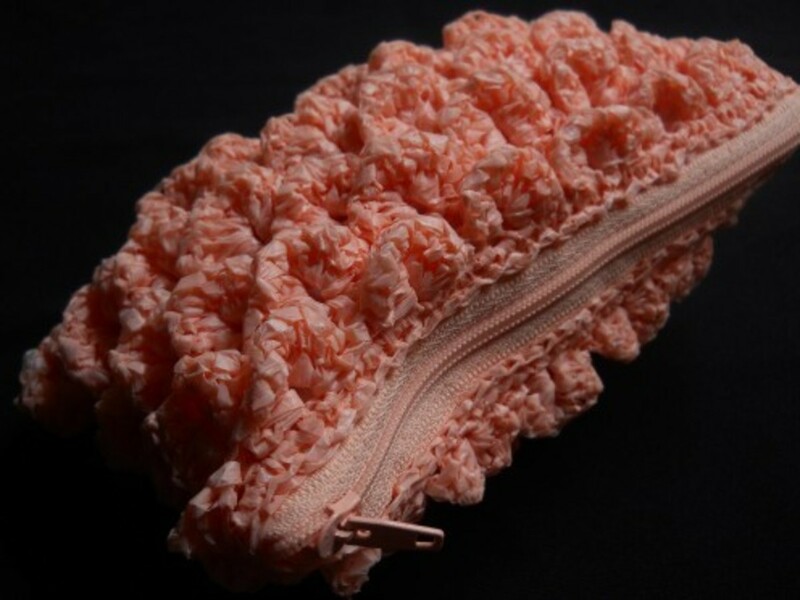 Most people who've seen this pouch are amazed with its delightful stitch pattern and texture. 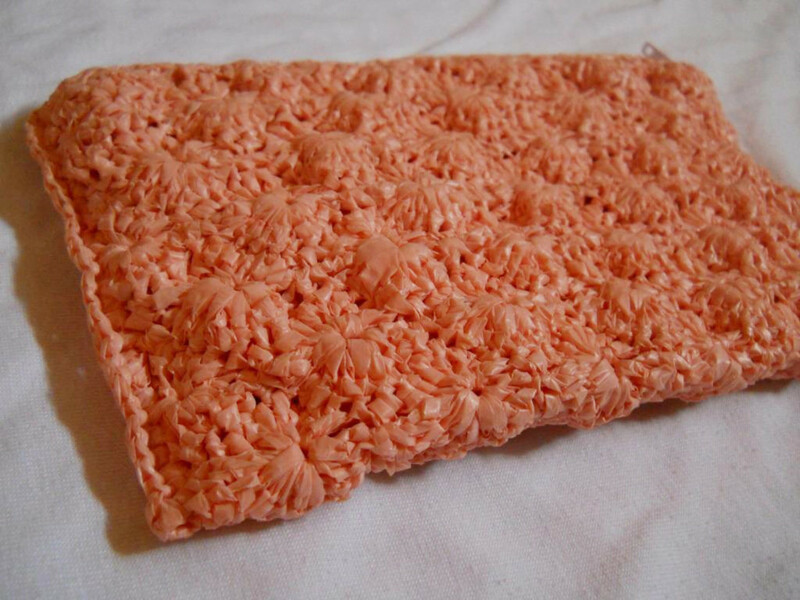 These are the reasons for crocheting with plastic bags. 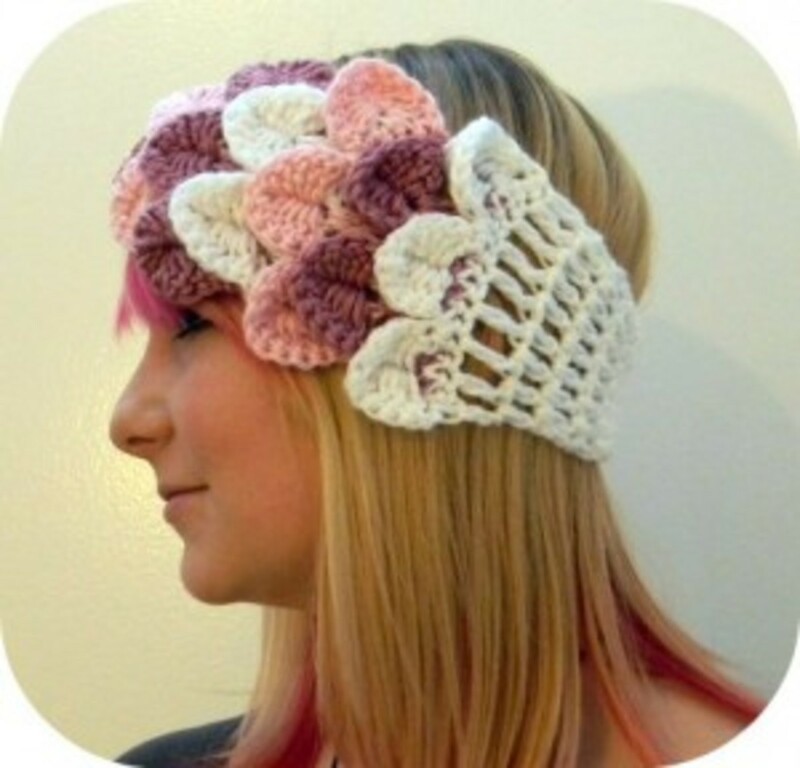 How to Crochet Dc 2tog? 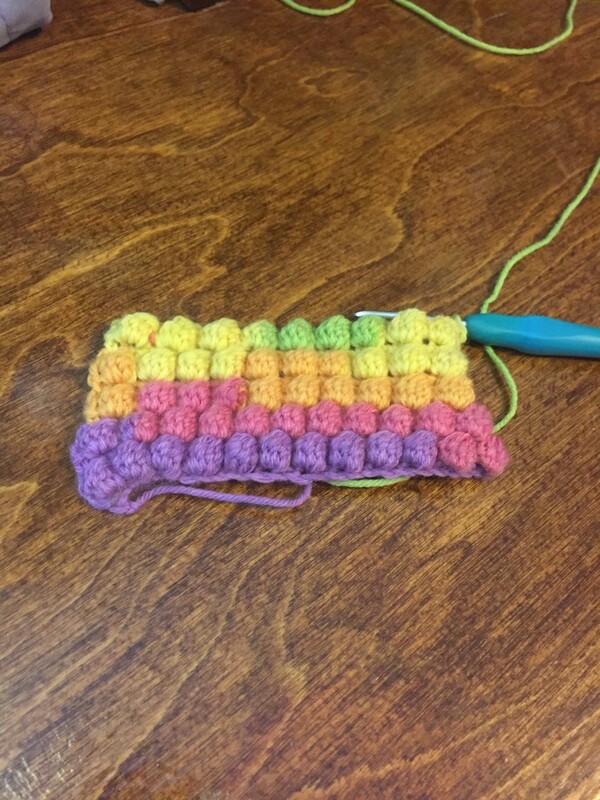 Dctog literally means double crochet together. This stitch refers to a group of dc’s that drawn together at the top. The number of dc’s in a dctog stitch is indicated by the number preceding the word tog. 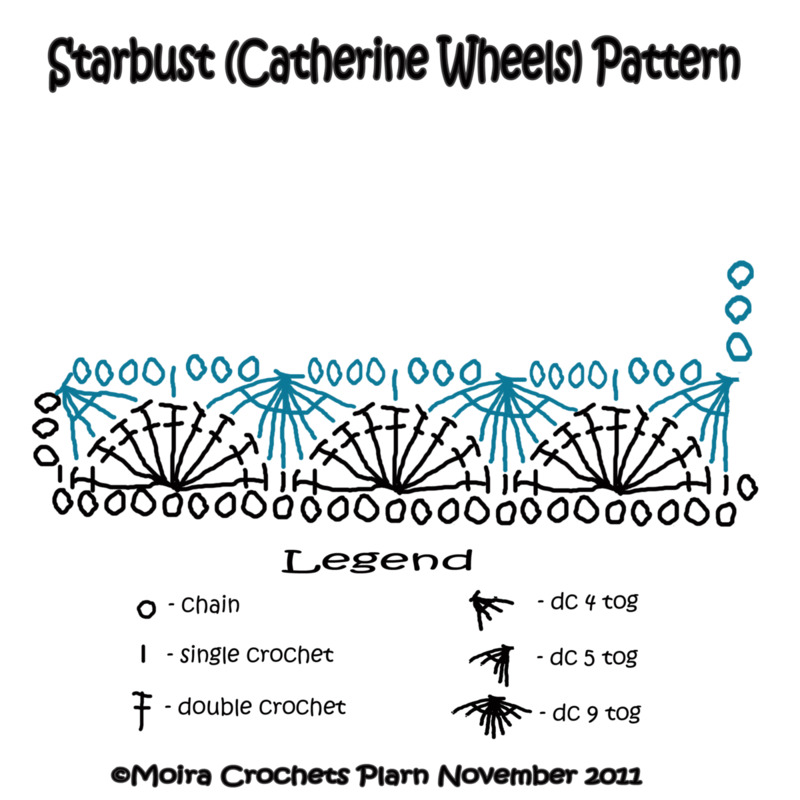 For example, in this pattern, you’ll find dc 9tog, dc 4tog and dc 5tog. The video floating at the right shows a dc 2tog. 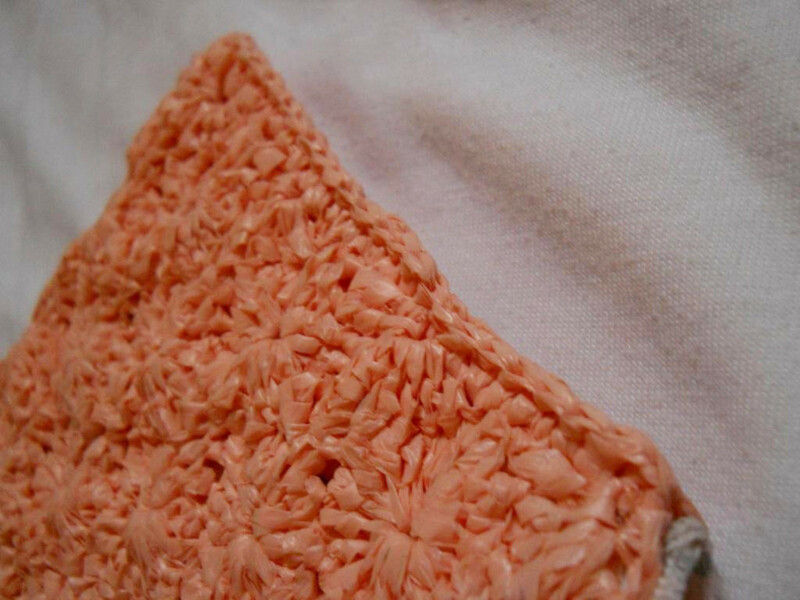 This stitch is used to decrease dc’s and is very similar to a dc-cluster. 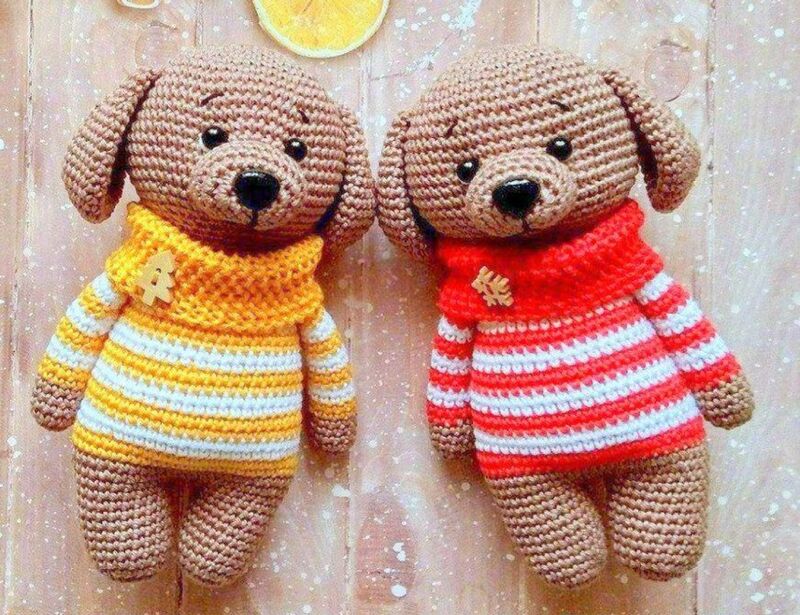 Their difference is that dc-cluster is worked on the same stitch or space while the dctog is worked on adjacent stitches or spaces. [Y o, insert hook in next st, draw a loop through, y o, draw through 2 loops] 9x, y o, draw through all 10 loops on hook. [Y o, insert hook in next st, draw a loop through, y o, draw through 2 loops] 5x, y o, draw through all 6 loops on hook. [Y o, insert hook in next st, draw a loop through, y o, draw through 2 loops] 4x, y o, draw through all 5 loops on hook. 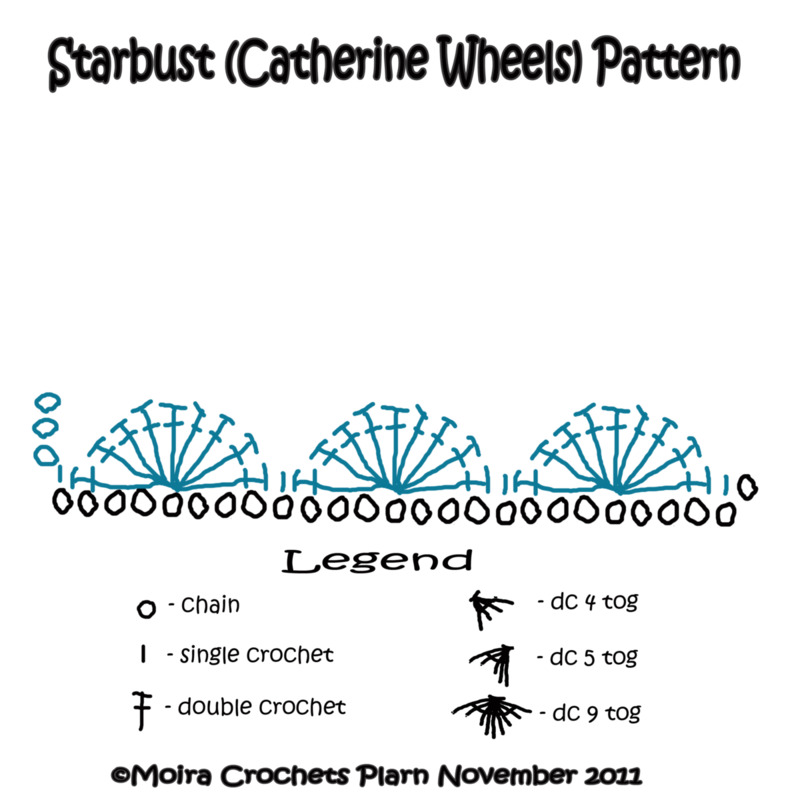 Row 1: Sc in the 2nd ch from hook, (sk 3 ch, 9 dc in next ch, sk 3 ch, 1 sc) repeat till end of row, ch 3, turn. Row 2: Sk 1 sc, dc4tog, (ch 4, 1 sc, ch 3, dc9tog) repeat till 6 sts left of row, ch 4, 1 sc, ch 3, dc5tog, ch 4, turn. Row 3: 4 dc on top of dc5tog, 1 sc in sc, (9 dc on top of dc9tog, 1 sc in sc) repeat throughout the row, 5 dc on topof dc4tog, ch 3, turn. Row 4: Sk 1 dc, (dc9tog, ch 4, 1 sc, ch 3), 1 sc in turning ch, ch 1, turn. Row 5: 1 sc, (9 dc on top of dc9tog, 1 sc) repeat to end, ch 3, turn. Repeat from Row 2 to 5. 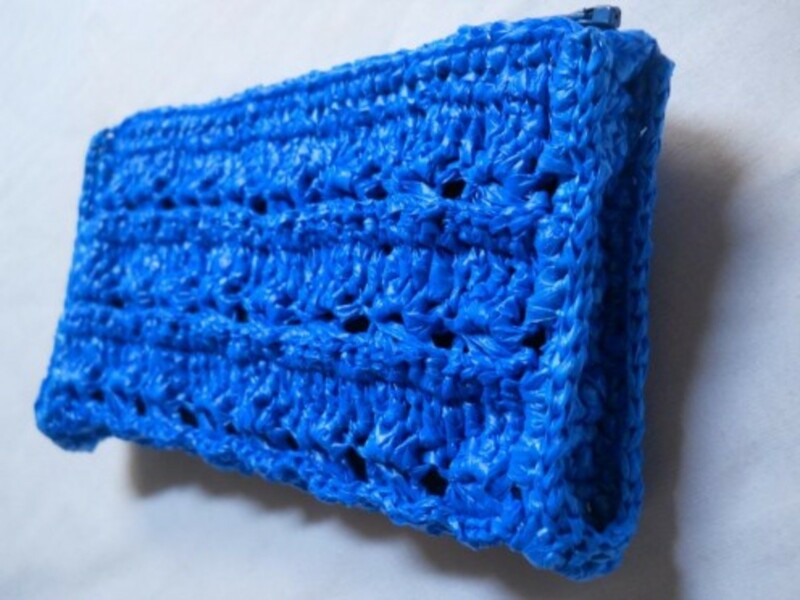 My pouch has 26 rows. Turn, sl st the sc's. Line the top with sc's. Fold the rectangle formed. [Join the sides with sc's. See figure floating right to see how many sc's. Turn, sl st the sc's. 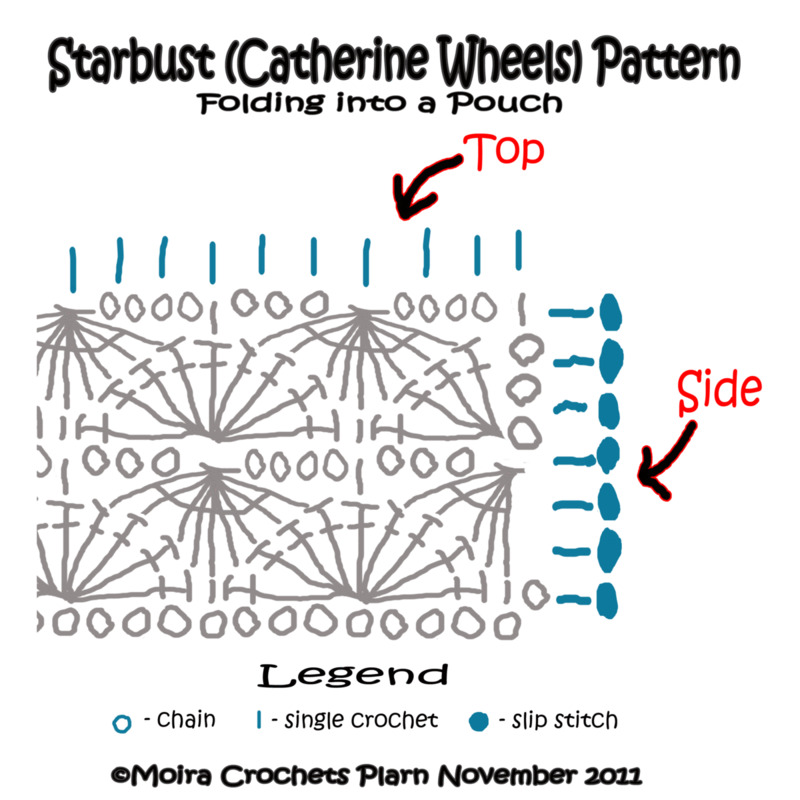 Line the top with sc's] Repeat instructions in [ ] for the other side of the pouch. 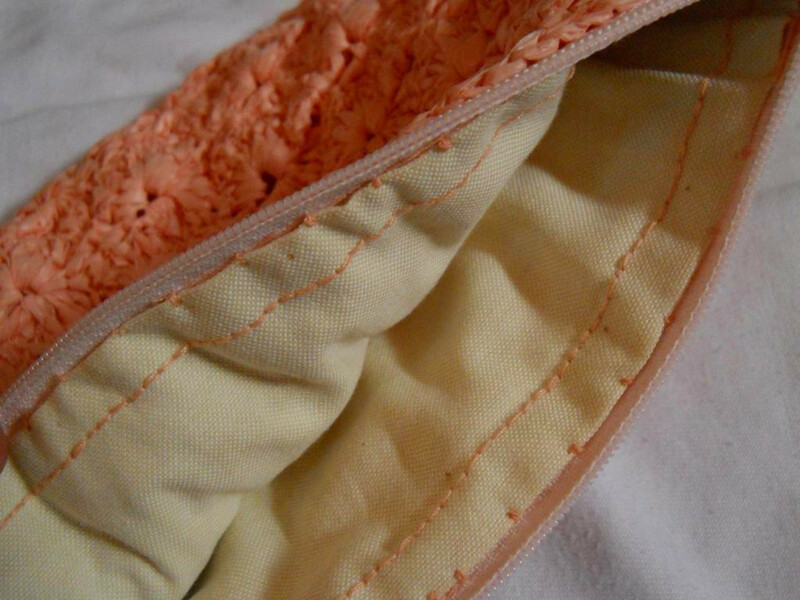 I've stitched the zipper too close. I should have used ONE strand of thread only to make it invisible. I don't know what I was thinking but I painted my name on the lining. 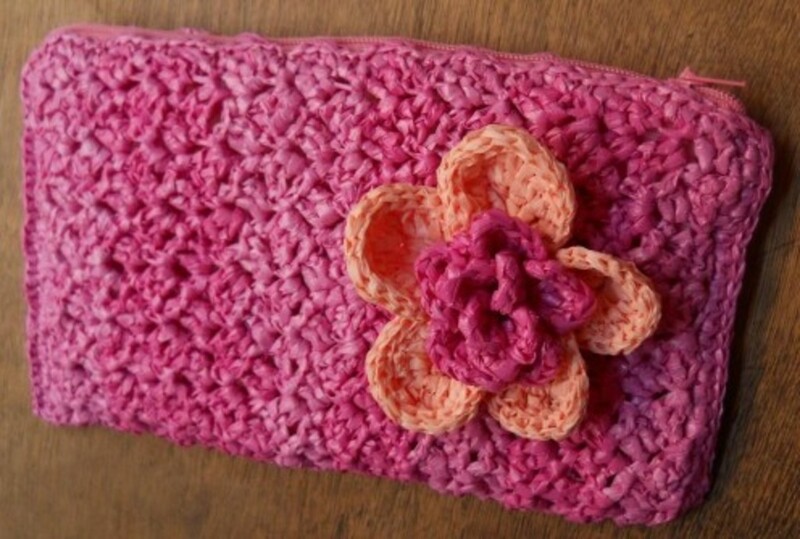 Thanks to Carrie Wolf's tutorial, I was able to line this pouch. 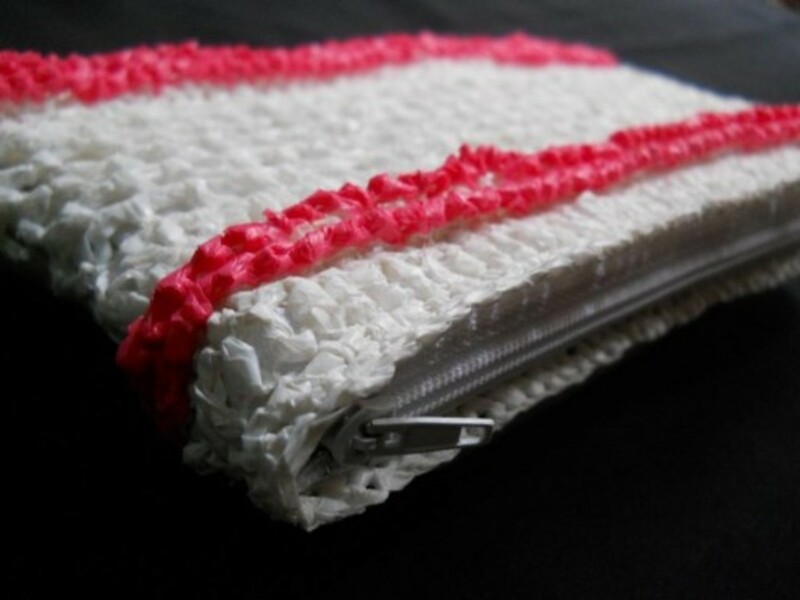 However, there were a lot of things that took me a while to be aware of such as, the thickness of thread and where to attach the zipper and lining. 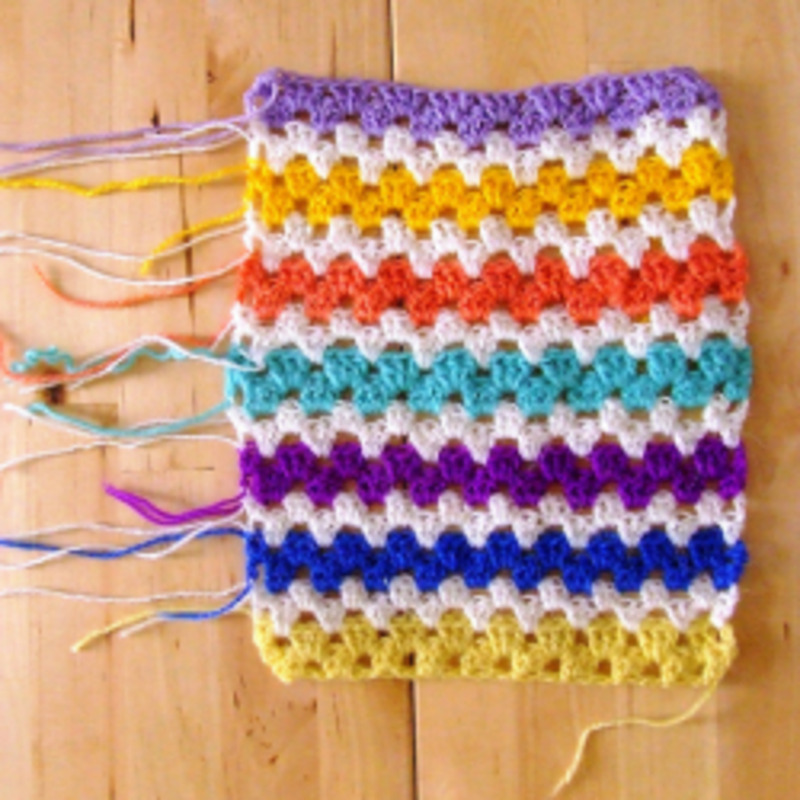 So as you can see from the photos floating right, my stitches are visible and the zipper is too close to the crochet. 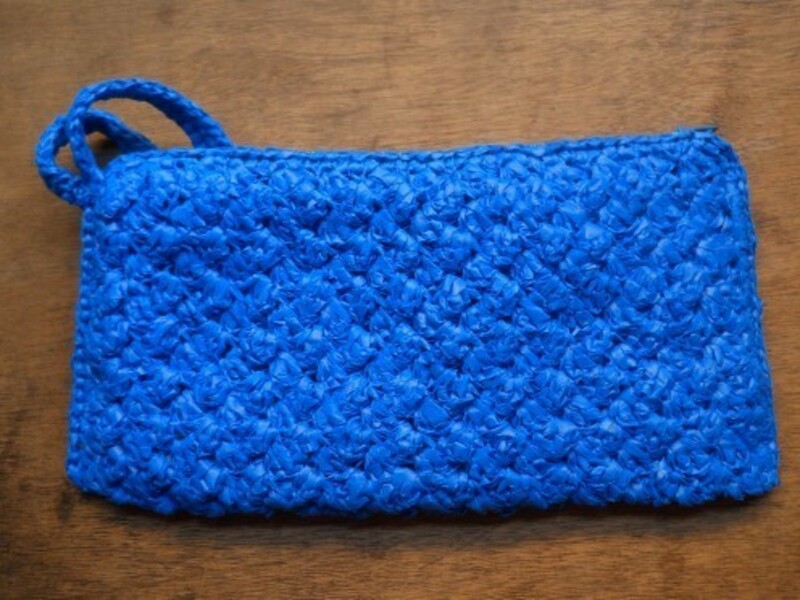 For more of what I learned how to zip and line any crochet bag. 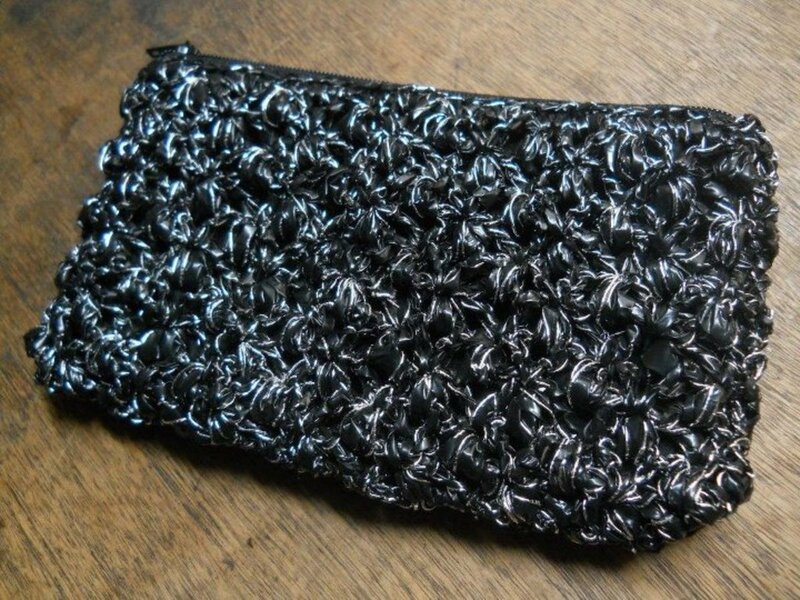 please have a look at my BROKEN PROMISE Pouch. Hi KSCHIMMEL! I always try to include charts whenever possible because I like having pictures of what I'm doing, too. Hi BARBARA! I hope too that many will like this pattern. Hi PATRICE! Thank you for your support. I'm happy to know you find my hubs worthy of being bookmarked. 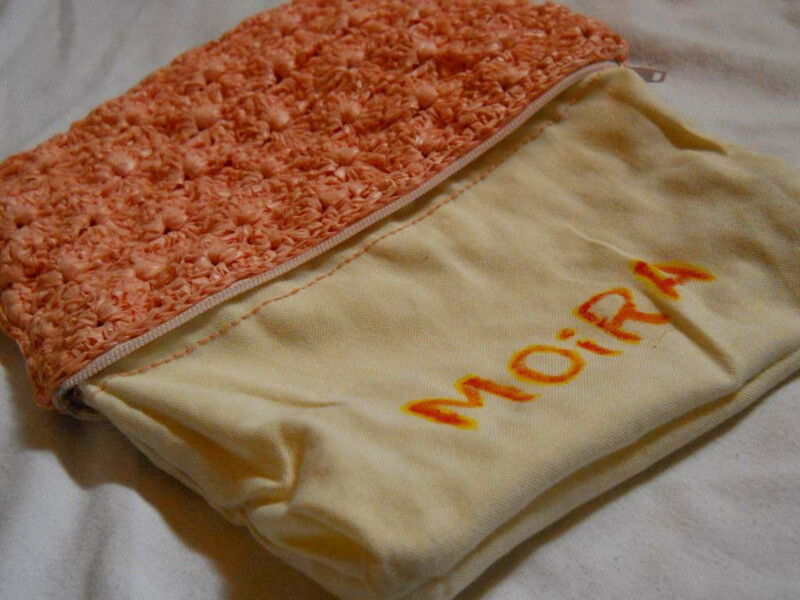 Another great pouch, Moira! 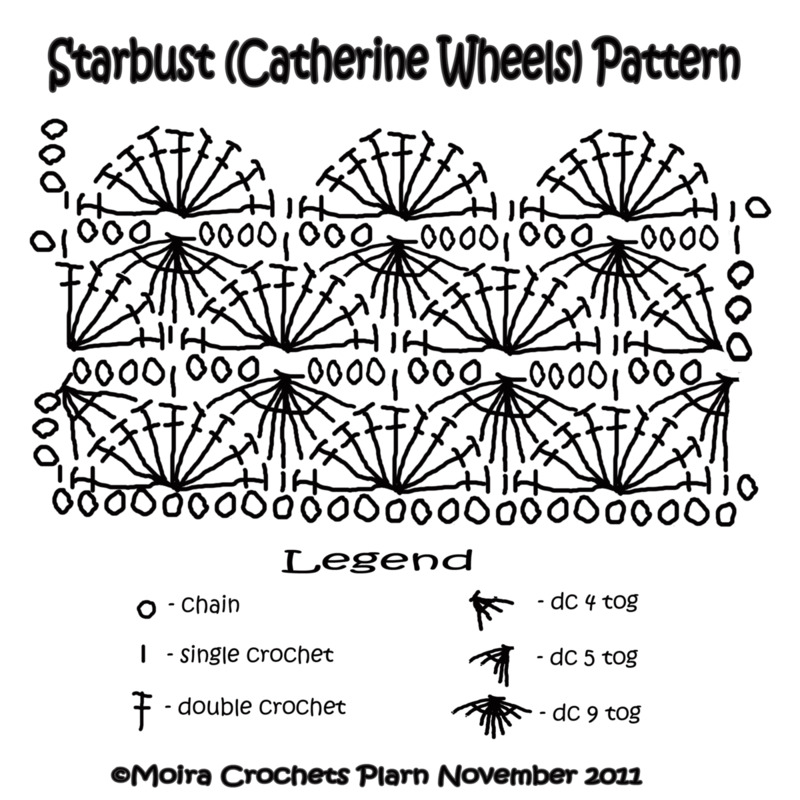 I like those Catherine Wheels, but have never tried the stitch. Looking forward to experimenting with it. 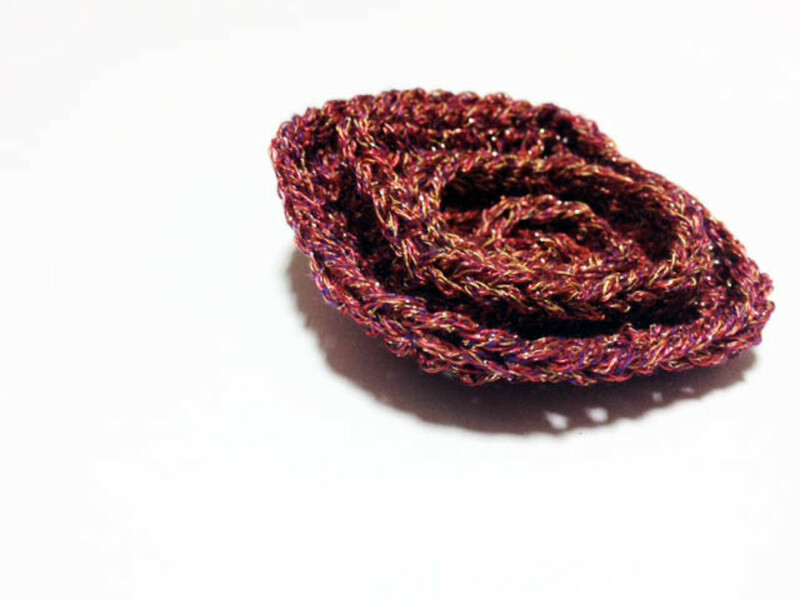 I can see using a lot of your patterns as Christmas gifts with all the leftover worsted-weight acrylic yarn I have in my stash. So I'll be bookmarking this one too. Rated up and useful!! Good job. I'm sure many will make this pattern. Thank you for including charts--they are so much easier for me than written directions. I like having a picture of what I'm doing!